With so many fashion phrases strutting down the runway season after season and making their way into magazines and mouths, it can be hard to keep up with the terminology. While style and fit may sound similar, there’s one big difference. Keep reading to learn about the difference between fit and style! Style can refer to the design of clothing and how this translates into your own personal style preferences. Style can also be influenced by the closet staples your consistently rely on, like that cargo jacket you always reach for, could be one of your defining style pieces. 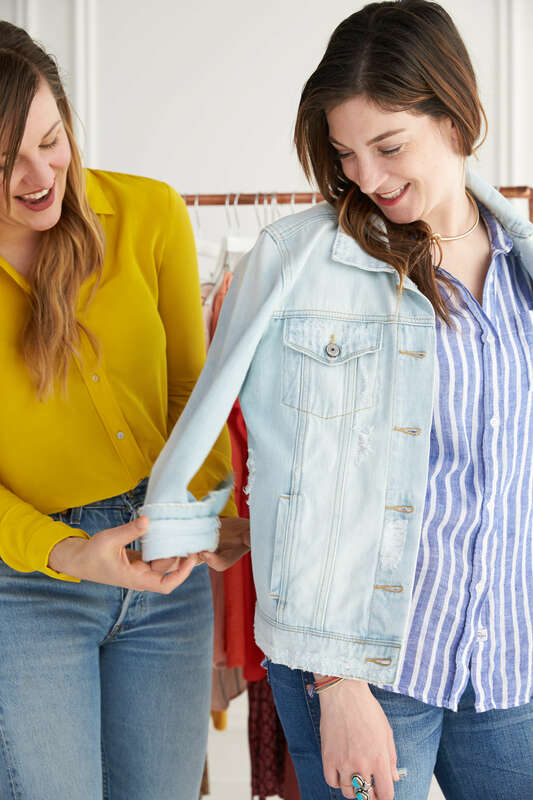 “Fit refers to how clothes fit the body—words like tight, structured and loose describe fit, while style refers to the way the item is made—think flowing cuts or the cut of a pair of jeans.” — Stylist, Tyler S.
Fit, schmidt. No matter the item, fit’s important! Fit is not synonymous as size, though. Fit is how snugly your jeans skim your thighs or how loose a top is supposed to be around your chest. For example, there’s the way a pencil skirt should fit — you should be able to pass the bend test! What’s your take on fit and style? Tell us in the comments!